What is a ranging market? A ranging market is the opposite of a trending market, in that the price is bouncing between a high price and a low price without edging up or down. The high price serves as a resistance level that the price action can’t seem to break, and the low price acts as a support level that the price also can’t seem to break. 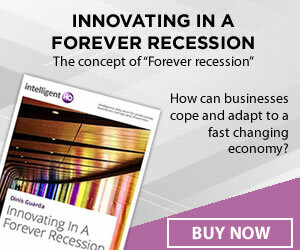 The movement of the market in these circumstances could be described as being horizontal, or sideways. 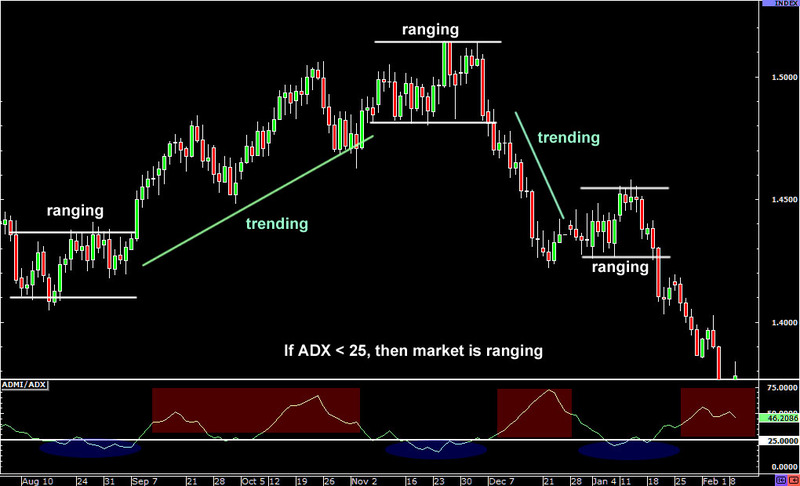 The ADX indicator that we used earlier in the series can also be useful for determining if a market is ranging. An ADX reading of under 25 indicates a ranging market, and lower the number, the weaker the trend is. When there is volatility in the market, Bollinger bands expand, and when there is less volatility in the market, they contract. 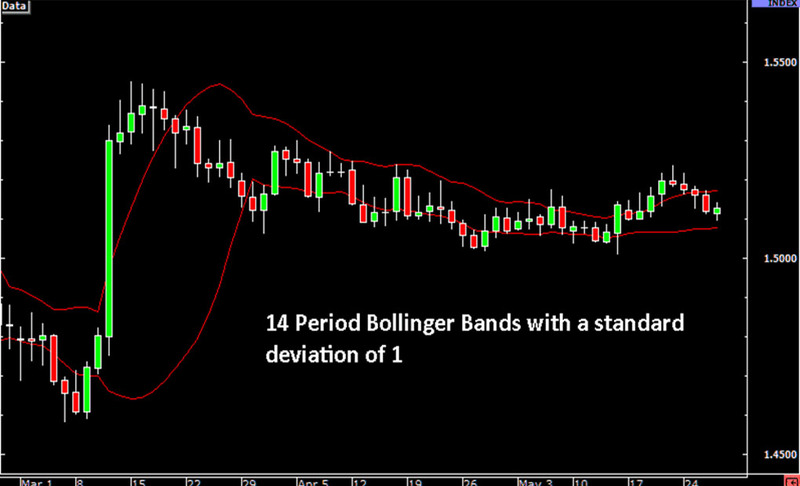 As a result, Bollinger bands can be a useful tool for breakout strategies. When the bands are close together, volatility is low, and you can expect little in the way of directional price movement. When they begin to expand, volatility is on the increase, and more directional price movement is likely. 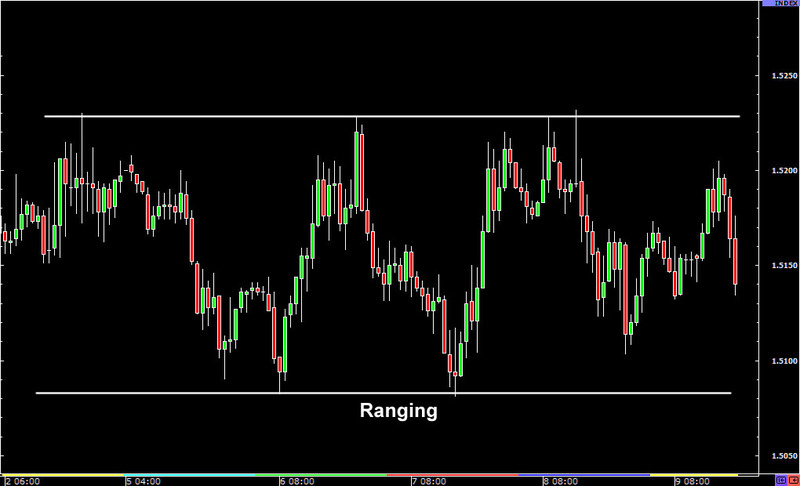 In a range trading environment, you will usually see narrow bands forming horizontally, as in the chart below. Here, we can see that the Bollinger bands are contracted, because price is moving within a tight range. The idea behind a range-bound trading strategy is that a currency pair is displaying a tendency to trade between a certain high price and a certain low price. Traders will buy near the low price in the hope of taking profit around the high price, and short near the high price in the hope of taking profit around the low price. 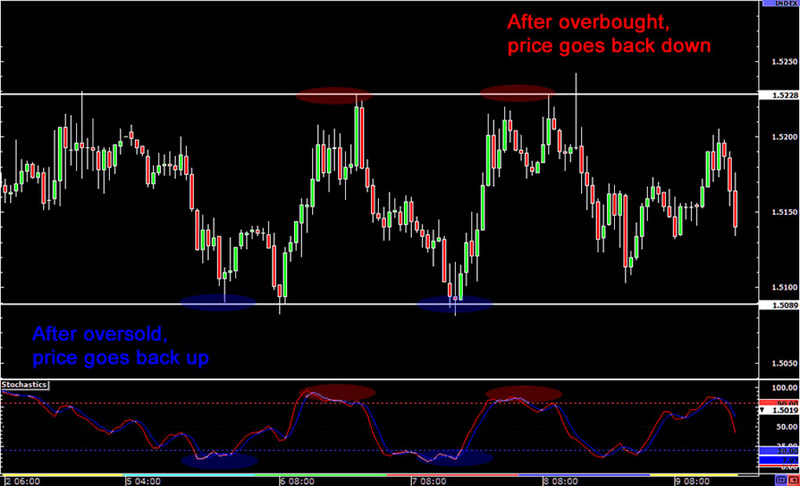 Oscillators such as Stochastic or RSI can be very helpful in finding a turning point in a range, as they are designed to identify potentially overbought and oversold conditions, as in the chart below. As a rule, the best pairs for trading range-bound strategies are those that do not include the USD, as these tend to have stronger positive correlations and less liquidity, which makes them less likely to trend. For example, the EUR/CHF exchange rate is mostly stable because the growth rates of the EU and Switzerland are similar most of the time.